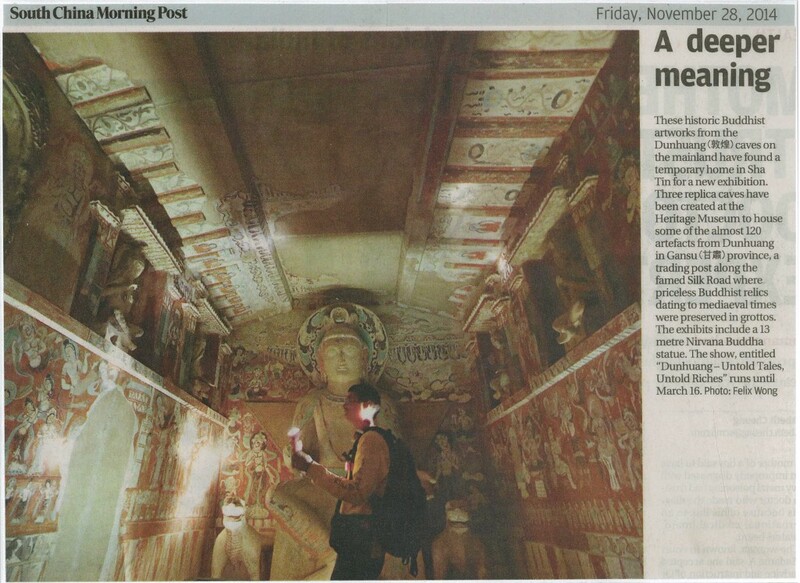 “Dunhuang – Untold Tales, Untold Riches” Exhibition organized by the Hong Kong Heritage Museum and Dunhuang Academy is opened today till 16 March 2015. Let’s visit now! Several newspapers have published an article on this exhibition today, such as Apple Daily, Hong Kong Economic Journal, Ming Pao, Sing Pao, South China Morning Post, Wen Wei Po and so on.